You can find reviews of 360 Degree Construction on our Google+, Yelp and Houzz pages. Because we believe in transparency, we do not edit or re-publish review on our own website. Thanks for understanding. 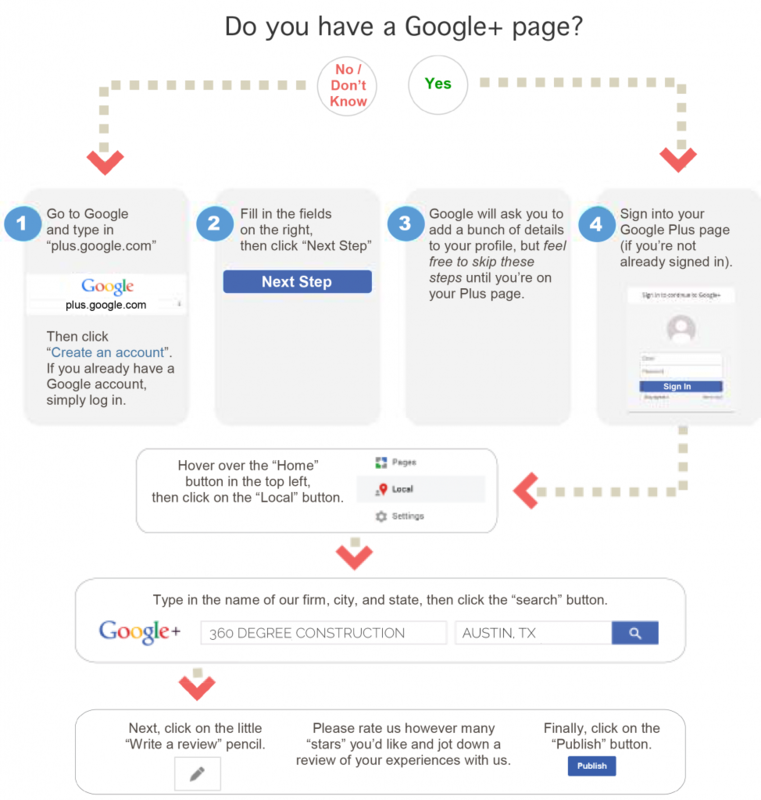 By following the process below, your review will be as visible as possible online. We thank you for taking the time to consider and tell others about our services. Once you’ve completed your review, be sure to let us know on the promotions page of our website. 360 runs promotions year-round so if you miss out this time, be sure to come back next quarter!